Those closely following the news and developments on business intelligence are clearly aware of its benefits. From effective results such as spotting opportunities and increasing revenue, experts have been constantly emphasizing the use of business intelligence. However, it is also important to acknowledge that simply using business intelligence does not lead to profits and accomplishing goals. Consider how students often purchase reference books and study guides to achieve their desired results on exams. Simply having access to reference books and study guides will only be effective if supplemented by attending lectures and doing the actual readings for the course. Similarly, having access to business intelligence is not enough. It must be supplemented by a variety of factors in order to achieve desired results. 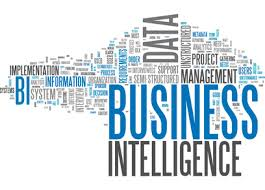 Here are some tips for successful applications of business intelligence. Business Intelligence is not only about getting all kinds of reports, it is about smarter decision making. Without consistently acting on the insights, it is not possible to improve business performance. The most important aspect is to apply the data findings in a consistent fashion. Over a period of time, this leads to producing desired results repeatedly. We have a lot of data and it makes little sense when it is simply not used to make decisions to meet the business objectives. Owning the data is not enough, we need to drive insights that help us focus on serving our customers better, improving efficiencies and increasing revenue. We have earlier blogged about the necessity of visualization. Visuals such as images and animations makes it easier to interpret complicated information. As a result, it takes away the overhead to slice and dice the data. Many man hours can be spent trying to reach the desired insights. And visuals make it simpler to interpret the information and help you focus on what needs your immediate attention.